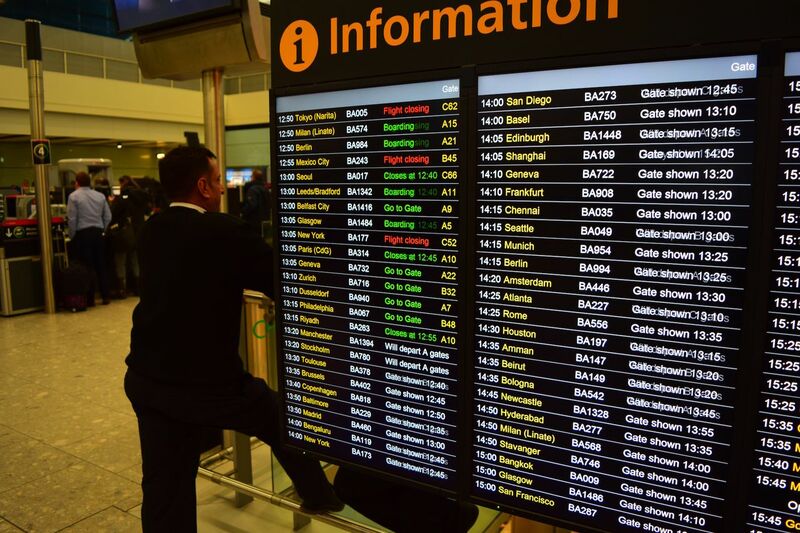 I'm in the process with our supplier of upgrading the technology behind our Flight Information Display System for our airport, this runs the flight information screens in the terminal showing the departures / arrivals information. With that comes the opportunity to give the information screens a bit of a facelift, currently it looks a bit like this. I'm looking for some ideas / best practices on updating the colours and fonts for the information screens to make it A. look good and B. easily readable from a distance. Most other airports that I've been to recently tend to have a black background with a combination of white / yellow text like this, ideally I don't want to go for a carbon copy of that but is it one of the best font / colour combinations for readability etc? Braille display: how can a user-friendly Braille key refresh be programmed/refreshed? UX principles for maximizing web page visibility at a distance? Why center align text in 2018?